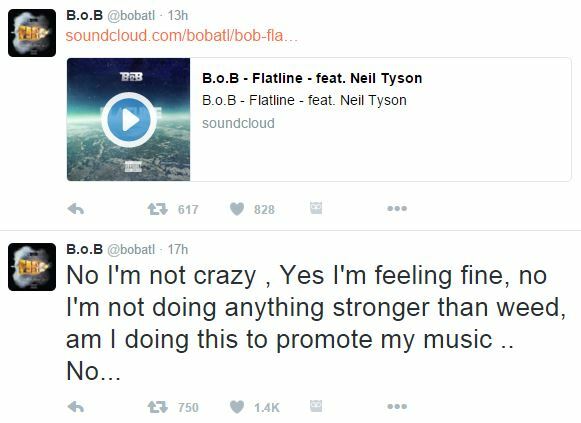 B.o.B Thinks The Earth Is Flat On His Neil DeGrasse Tyson "Diss Track"
1. We settled this before the United States even existed. 2. 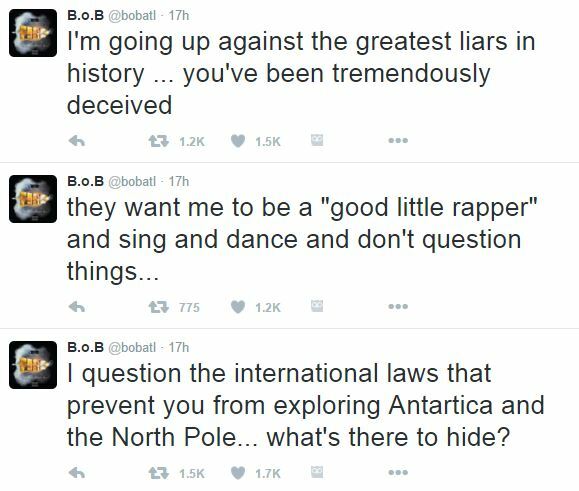 When was the last time B.o.B released anything that was heard by anyone other than his (clearly lacking) own people. 3. Tila Tequila(!) shares the same lack of first grade education. 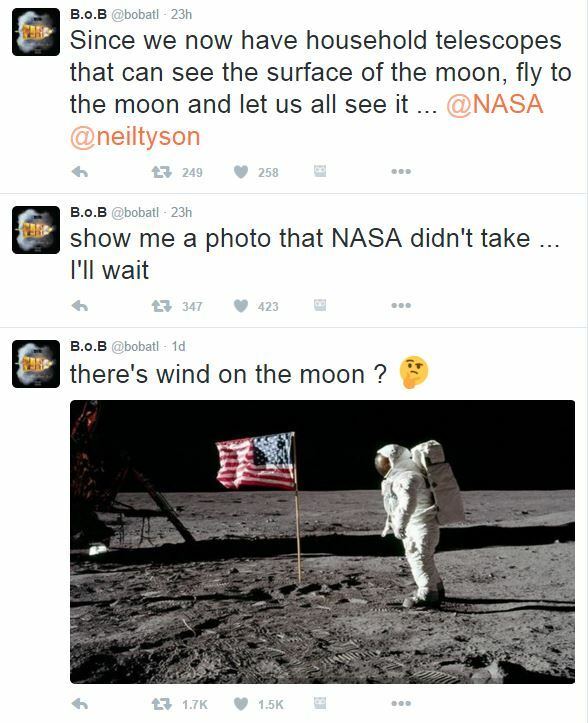 I’m not entirely sure of what got B.o.B on this train of thought (blame it on the weed if you will), but what could only be a really early and misguided April Fools’ Day prank got very real very quick. Then he dove right into government conspiracy theories. And I get it. The X-Files are back on air. Just 2 episodes in, the conspiracy theory factor is already off the charts. This alone may have you questioning everything a bit more than usual. But this?!? Nawl. Then I heard the “diss track” aimed at none other than Neil DeGrasse Tyson. It was then that I knew B.o.B was in a real bad way and needed our help. Let’s setup a GoFundMe campaign for this unfortunate soul because he has clearly been cut off from his sanity like John Singleton’s son Maasai was cutoff from his father’s bank roll. 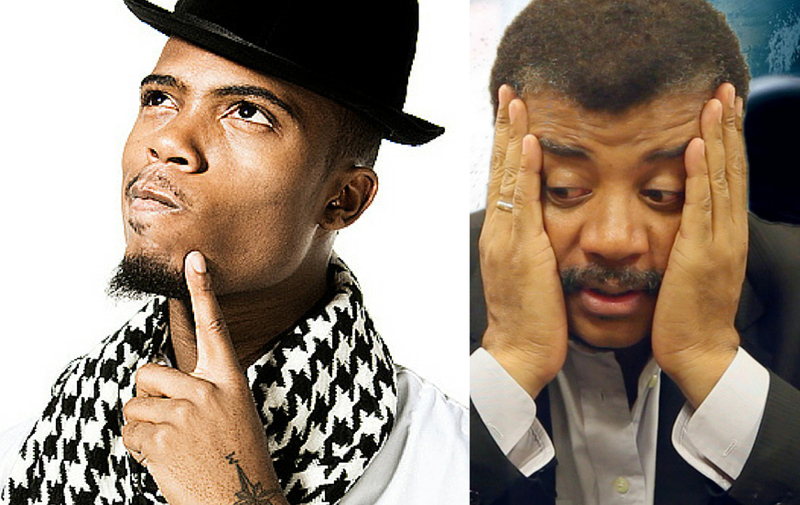 Ignoring the track’s false bravado and Holocaust denial for rationality’s sake, B.o.B seriously spent time in a studio writing and recording lyrics to come for Neil DeGrasse Tyson. 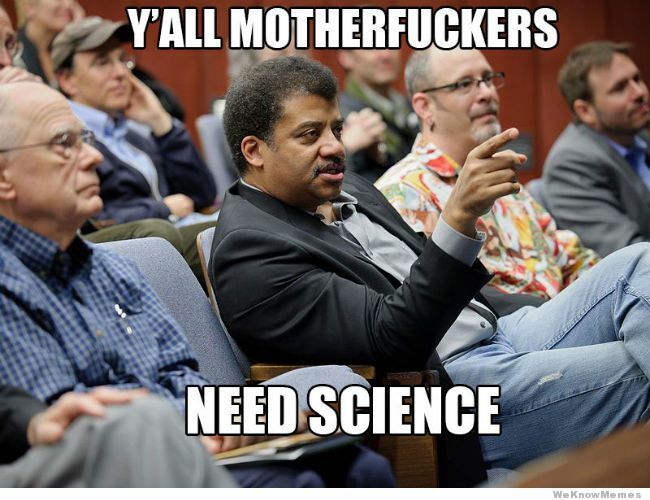 When you start a rap beef with an astrophysicist over scientific facts, the time has come to reevaluate your life. It’s funny how celebrities that have fallen off seem to have a propensity for either going to the furthest lengths imaginable for a little bit of publicity or completely losing their minds along with their fame. I’m not sure which is the case in this situation, but in either case, this man deserves our sympathy. B.o.B is the type of person who puts his checker piece at the other end of the board and says “king me”, but you reply “we’re playing chess.” There is no reasoning with this type of individual. and muttering this before throwing his hands up and walking away. He’s tired of having to deal with the half-wits, people. Give the man a break.